The changing higher educational landscape in Europe creates new learning infrastructures and transforms existing ones. Students are thus provided with new possibilities and challenges. 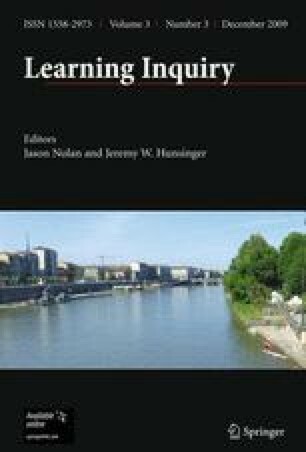 Through the case study of a newly developed common curriculum for the social sciences of a public university in Austria, this article discusses the interacting social agents, elements, and tools of a flexible and interactive technology-enhanced learning model. In doing so, the transnational, national, and local infrastructural conditions and challenges are critically examined from a socio-technological perspective. Selected evaluation and survey results highlight students’ learning practices, usage behavior, and suggestions to improve their learning situation. The article concludes that student-centered learning models focusing on flexibility and interactivity can support the stable implementation of a common curriculum and its technology-enhanced learning infrastructure for the social sciences at public universities with high student numbers. We gratefully acknowledge the comments on an earlier version of the article by anonymous reviewers. EADTU. (2003). Communication of Madrid about virtual higher education and the Bologna process. Document prepared at the EADTU Conference “e-Bologna”, Madrid, 8 November 2003. http://www.eadtu.nl/e-bologna/files/CommunicationMadrid_def.pdf. Accessed 25 September 2009. Gilmartin, M., & Moore, N. (2008). Making it different: a blended learning pilot project with first year geography undergraduates. Universitas 21 teaching and learning conference: Does teaching and learning translate? Glasgow 21–22 February 2008. http://www.universitas21.com/TandL/Papers/Fri2.pdf. Accessed 25 September 2009. Lorenz, A., Zens, B., & Bociurko, M. (2004). WebCT Vista: Schöne Aussichten. COMMENT 04 (02) 2004. http://www.univie.ac.at/comment/. Accessed 10 March 2007. Rovai, A. P., & Jordan, H. M. (2004). Blended learning and sense of community: A comparative analysis with traditional and fully online courses. International Review of Research in Open and Distance Learning, 5/2. http://www.irrodl.org/index.php/irrodl/article/view/192/274. Accessed 25 September 2009. The World Fact Book. (2009). European Union. https://www.cia.gov/library/publications/the-world-factbook/geos/ee.html. Accessed 18 May 2009.